We are pleased to introduce MMCJ 2019 Students! Here are 21 young promising musicians from 7 countries; Japan, South Korea, Iran, Spain, Italy, U.S.A. and Canada. 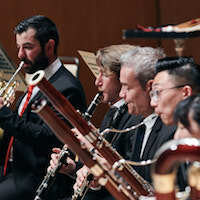 We are pleased to announce the MMCJ 2019 Concert Programs such as “Gala Concert (Chamber Music Concert by MMCJ Professors)”, “Students Chamber Music Concert” and 2 “Orcheestra Concerts” in Yokohama and Tokyo. Tickets go on sale on Monday, 1st April, 2019. 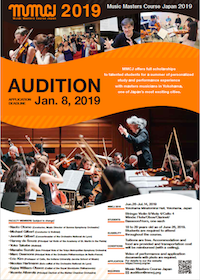 The final result of the audition of 2019 MMCJ will be informed by 18th February to all applicants in order of arrival of the application documents. Please note that the result of the first screening will not be informed. Application for MMCJ 2019 was closed on 8 January, 2019 (Japan Standard Time). Thank you. 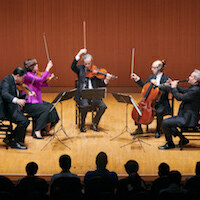 We’ve uploaded videos of the MMCJ 2018 Gala Concert (Chamber Music Concert by MMCJ Professors). Application deadline for MMCJ 2019 is extended to January 8th 2019, which was originally November 30 2018. Schedule for audition process including live audition is revised. We are pleased to announce our program for 2019 and to invite applicants for this attractive opportunity. 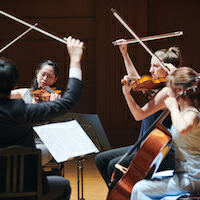 MMCJ offers full scholarships to talented students for a summer of personalized study and performance experience with masters musicians in Yokohama, one of Japan’s most exciting cities. *(Nov.8 updated) application deadline was extended as above. We’ve uploaded videos of the MMCJ 2018 student chamber music concert. 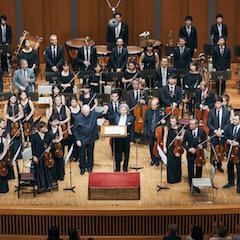 We’ve uploaded videos of the MMCJ 2018 orchestra concert in Yokohama. >>For more video archives, please visit our official YouTube Channel. 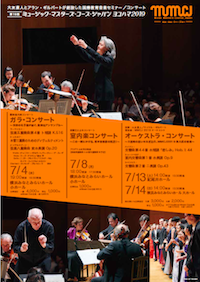 MMCJ 2018 concluded our program on July 16th with Orchestra Concert at Kioi Hall – Tokyo after nearly 3 weeks intensive coaching and reheasal. All students were truly impressed by superb coaching and their own growth in musical sense and communication. MMCJ will expect an improved program next year.